June of 2015 compared to July 2015– June 2015 estimate came out at 272.4 Million lbs by Littlepage. The 2nd grower estimate done by Brookshier at the Texas Pecan Growers Association Meeting came in 327.0 Million . 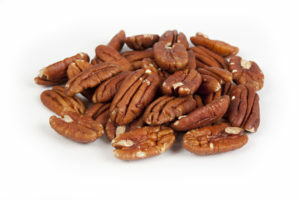 2014 Pecan Crop- Total Supply: The total supply for 2014 is estimated at 265 Million lbs. We should have final estimate in the next few weeks, we will keep you advised. New Crop – The crop is progressing, and people within the industry hope to see a 350 Million lb Crop or more. Only time will tell if we are able to get there. There have been 3 years of short crops in the pecan industry. The carry into this new crop will very small, and different weather events can also have an adverse effect on the crop in the South of the United States. Pricing – The market has not opened on new crop pricing thus far and the official USDA pecan estimate will come out in October 2015. 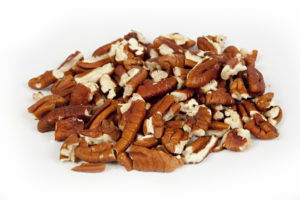 Please let us know if you have current demand for pecans from the USA and we will be happy to assist.